I have been leading Bible study groups for a long time. For the most part, it has been enjoyable. Yet, at times, I feel that there are certain situations in which I need to make a judgment call to bring the discussion back to basics. In Part Three of the Four-Part series on Bible Study, I like to highly five common myths in Bible study groups. It appears in different flavours. They are listed as is, and not in any particular order. Note the words “continue in what you have learned.” The trouble with most people is that they are constantly asking for something new. The Been-There-Done-That perspective makes a mockery of the Word of God as well. The Word is basically telling and retelling the old, old, story: God and His dealings with man. My answer is this. I am busy too. What makes your time with your family more important than my time with my family? What makes your business a bigger deal than my own business? Why in the first place can a sudden family or work reason, take priority over a scheduled event? Remember, your absence can directly or indirectly discourage the group. Don’t get me wrong. I can understand family emergencies. I can also understand a tough business climate. If the interruptions occur once in a while, that is fine. However, if it happens over and over again, the problem may not be due to the family or work situation. The problem lies squarely with the person's sense of priority. Paul’s exhortation to Timothy is clearly about “have become convinced of.” We come to Bible studies not because of our own personal conveniences. We plan to come based on our convictions in the Word, that God speaks through us as a group. We come to listen to the Word, eager to hear God’s reminder to us. SUGGESTION: Make attendance a priority. Learn how to minimize family interruptions or work related meetings by communicating to family and colleagues a week in advance. For example, tell your boss on Monday that you have a Bible study on Friday. Another common accusation on Bible studies is that we can do something more useful outside. Such people will bring out statistics of how much the poor is suffering, or how bad the social situations are in our neighbourhoods. Having said that, I notice that many people who bring these things up, instead of doing something about it, tend to do nothing about it. I reflect on Paul’s exhortation to Timothy, “because you know those from whom you learned it,” and I remember about the need to gather, to encourage and to share our lives. Timothy has been an active ministry worker. He has been working and learning from people more experienced than him. 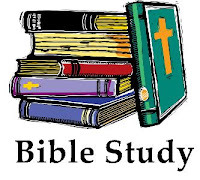 The attitude of coming to Bible Studies is not to be solely seen from the perspective of “What are we going to do about it?” It also requires a perspective of sharing "What we have done about it," what we have learned, and to reiterate the lessons we have benefitted from people around us. SUGGESTION: We come together not only to learn about what to do next, but to share about what God has done in us, or through us. Paul reminds Timothy about his early training, “and how from infancy you have known the holy Scriptures.” Did Timothy begin by questioning whether the Holy Scriptures are right or wrong? No. He does not question it. He seeks to know it. Questioning it basically puts ourselves the reader ABOVE the Word of God. Knowing it puts ourselves UNDER the Word of God. Our quest for meaning is driven from the desire to seek truth. My problem with the argument of no-such-thing-as-right-or-wrong is that they diminishes the importance of seeking out the truth. The battle we face is a battle for truth. In a group environment, we can all contribute our ideas, knowing that in every situation, the fight is not about right/wrong, but about truth. Error contains half-truths and half-wrongs. Truth on the other hand, is always right. SUGGESTION: Remember that “No such thing as right or wrong thinking” can begin a discussion, but it can never become the conclusion of the discussion. Truth is the goal, not right/wrong. Truth is always right. We cannot guarantee knowing all truth in just one meeting. We continue to meet and discuss because we seek truth always. Often used to cool tempers down, this statement is closely tied to the other phrase, “Let’s agree to disagree.” Inexperienced Bible study leaders tend to adopt this ultimatum. I question this because there is no need to issue ultimatums. Complex topics cannot be concluded within a span of one and a half hours. Who gives us the authority to make conclusions about our opinions? The purpose of coming together is to learn to engage one another as constructively as possible. Whether we agree or not, we need to be open to one another, remembering that our point of view is only one part of the bigger story. 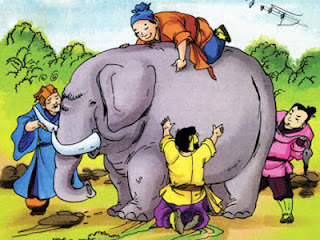 Like the story of the four blind man and the elephant. The first blind man touches the trunk and says that the elephant is a long hose. The second man touches the ears and says that the elephant is like a carpet. The third man touches the leg and insists that the elephant is like a tree trunk. The fourth man strokes the tusk and says that the elephant has a stony feel of ivory. Who then is correct? 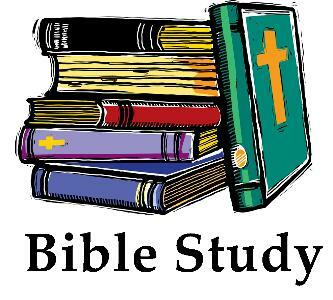 When we come to the Scriptures like a success manual, we concentrate on verses that talk about success. If we treat the Bible as a book of comfort and encouragement, we gravitate toward verses that talk about comfort and encouragement. The purpose of reading the Bible is to know God and to make God known. Paul reminds Timothy that the Scriptures can make him wise (mental disposition), for salvation (assurance), through faith (application), in Christ Jesus (foundation). When we read the Word of God, it is not about spelling out our interpretations. It is about being vulnerable to the Holy Spirit speaking the Word into our hearts. SUGGESTION: Do not talk about your rights of opinions before God. Talk about God, with God, and to know God. In conclusion, we need to adopt a spirit of humility and openness to God each time we come together for Bible study. People who says that there is nothing new in the Bible has already closed their hearts to learning. Those who claim they gain nothing out of Bible study have already missed out the meaning of Christian fellowship. One more thing. Personally, I will call a Bible study session good if it leaves participants with more questions than answers. That is why I agree very much with William Sloan Coffin. Avoid the five myths of Bible studies. Cultivate a desire to meet God and to know God, as you come together.